Our office at 3550 Wilshire Blvd #1520, Los Angeles, CA 90010. 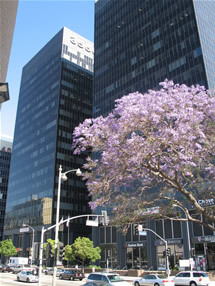 Located near downtown Los Angeles, our headquarters is on the 15th floor of the Paramount Plaza building. Need to check order status? Can you mail me information to show my group? Yes! Request a free fundraising guide here. Where do I fax in purchase orders/agreement forms? Please send all faxes to 888-778-2581. Can I pay the balance on my fundraiser? Yes, you can pay for your fundraiser here. When will my magazine subscription arrive? You can check on a subscription arrival date here. Can I design the back of my discount card? Yes, you can design the back of your discount card here. Can I reorder a fundraiser? Yes, you can easily place your reorder here. FastTrack Fundraising is constantly seeking partnerships for marketing and business development, and also offers the highest-paying fundraising affiliate program in the industry.